Release Date: July 17, 2015 – U.S. 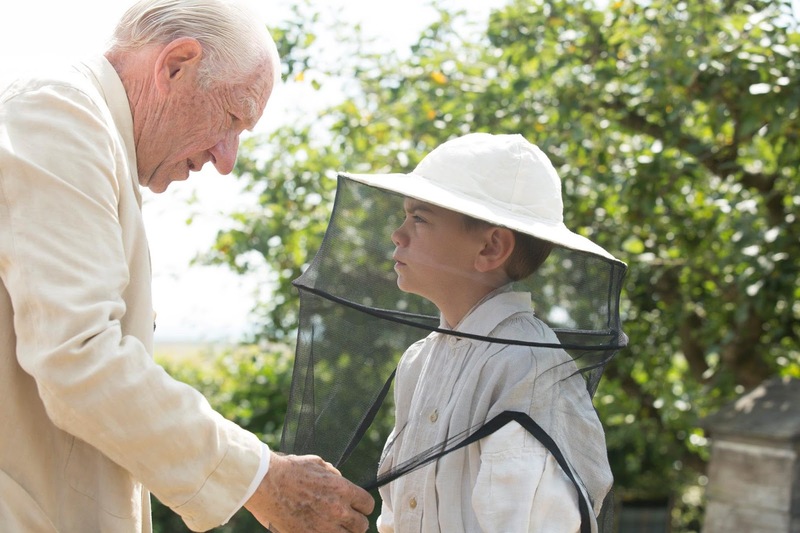 There is a mystery in "Mr. Holmes," but that's only part of the story. This incarnation of the iconic detective (played by the superb Ian McKellen) is an old man now. He has given up sleuthing and lives only with his housekeeper, Mrs. Munro (Laura Linney, with an English accent), and her young son, Roger (Milo Parker). Why did Sherlock Holmes retire, what really happened during his final case, and whatever became of his assistant Dr. Watson and brother Mycroft? Present day: Holmes is old, frail, and losing his memory. He tends to his bees outside, with the help of his willing little assistant, Roger. Trip to Japan: A fan of the Sherlock Holmes books, Tamiki Umezaki (Hiroyuki Sanada), wants to meet the man himself and invites him to Japan for a visit. While there, Holmes looks for "prickly ash" – a plant that is said to restore the memory. His final case: A younger – but still aging – Holmes is hired to investigate a case involving a husband and wife, Thomas (Patrick Kennedy) and Ann (Hattie Morahan). Because Holmes is ill, elderly, and his memory is diminishing, he can't remember all the details of the case or exactly what led to his retirement. "Mr. Holmes" has fun with the legend of Sherlock Holmes. It plays around with the concepts of truth, fiction, and the importance of both. According to Holmes, the books based on his cases are somewhat embellished – how, exactly, I'll leave you to discover. On that note, there's a terrific scene with Holmes watching one of the movies depicting his younger self – "Sherlock Holmes and the Lady in Grey" – but don't go looking for it, because it's not real. There's also a great cameo for eagle-eyed fans of a young Sherlock Holmes – which I wouldn't dream of spoiling. To be honest, I wasn't even aware of it until after the fact. At the heart and soul of the movie is the tender mentor-student relationship between Holmes and the boy. 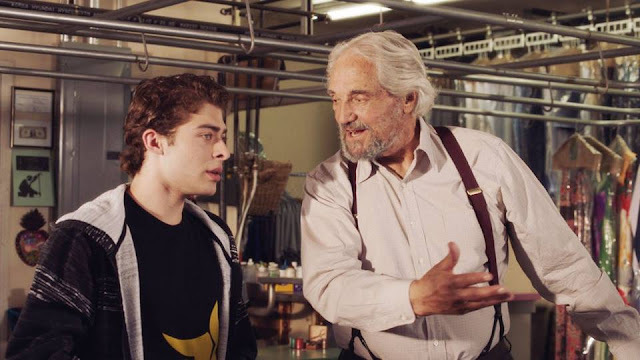 As Roger, newcomer Milo Parker delivers an outstanding performance that is every bit the equal of Ian McKellen's. That's no easy feat, because McKellen himself is fantastic as he switches between the great man with a gleam in his eye to the aging, fading legend who can barely get out of his own bed. He makes his incredible acting appear effortless – but it isn't, of course. The makeup department should also be commended – for somehow masterfully transforming McKellen into an aging version of Basil Rathbone, Nicholas Rowe, or whichever Holmes you consider your favorite. Once upon a time, Sherlock Holmes was the world's greatest detective. But even the best of us get old. Soon, all that remain are memories. When those begin to go too, what else is left? 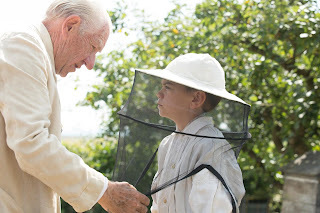 "Mr. Holmes" delicately but firmly addresses the aging process. There is a development in the third act – which may or may not involve Holmes at all – that had everyone in the theater on pins and needles. I will say no more. If you're expecting simply another cracklin' crime caper, stick to the books by Sir Arthur Conan Doyle or seek out the older movies with Rathbone or the multitude of others who have donned the cap and coat over the years. 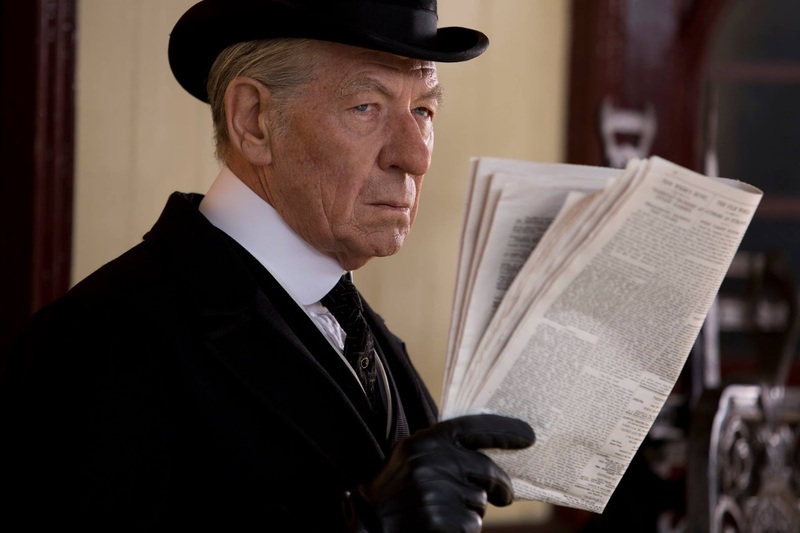 "Mr. Holmes" is so much more than that – and so much better for it. It's a fresh, fun, thought-provoking take on an old classic.